If you remember from yesterday, I had only gotten one aileron totally dimpled. 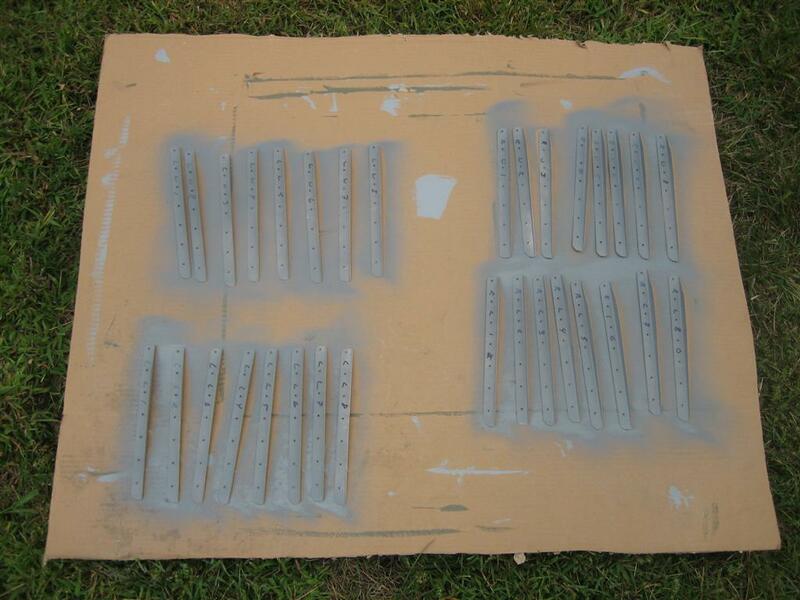 Today, I got the other one dimpled, then cleaned up the skins and set them outside for a little rattle-can primer. It was slightly windy, but it worked out okay. 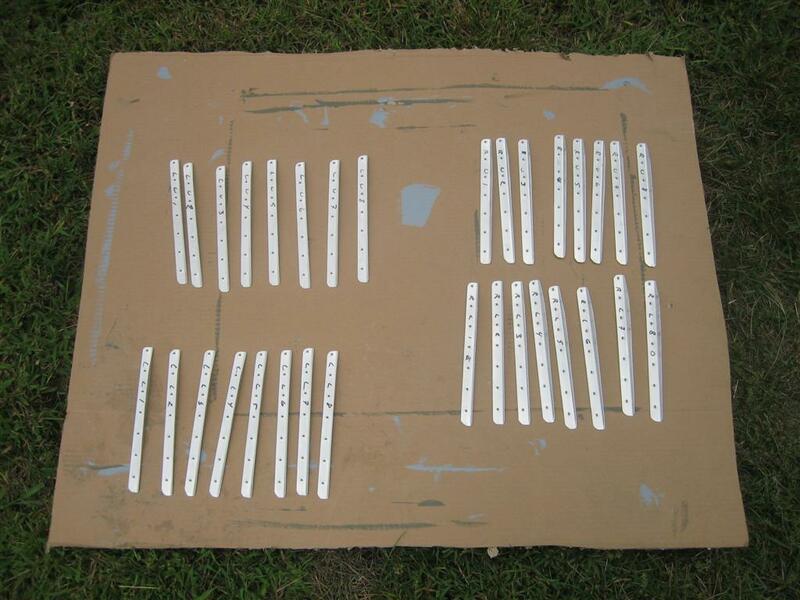 Then, I took all of my stiffeners inside to do a more thorough washing, then set them outside on a piece of cardboard for drying. I'll leave these outside for a little to dry. After a few minutes, I primed them, let them dry fully, then brought them back into the garage. Then, I spent about 45 minutes just putting rivets in the holes and taping them in. This felt like 2 mindless hours. 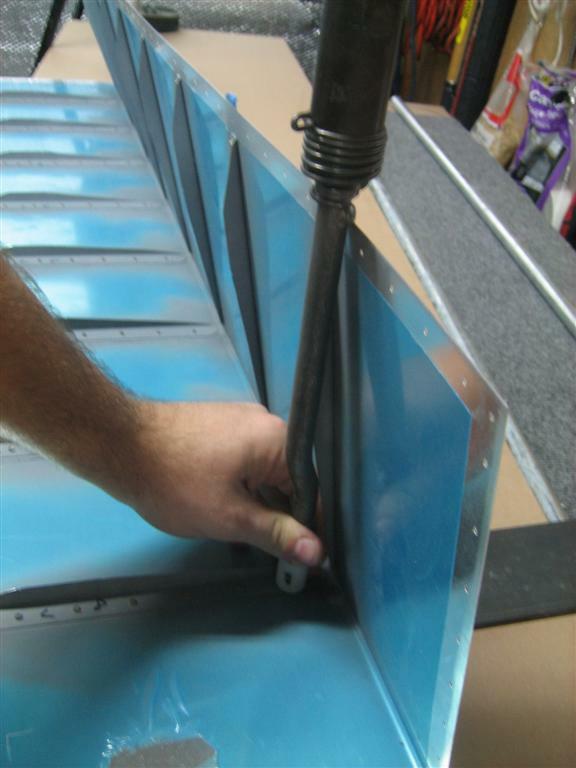 When I started to lay stiffeners in place for riveting, I realized that I didn’t get enough of the blue film off at the trailing edge. 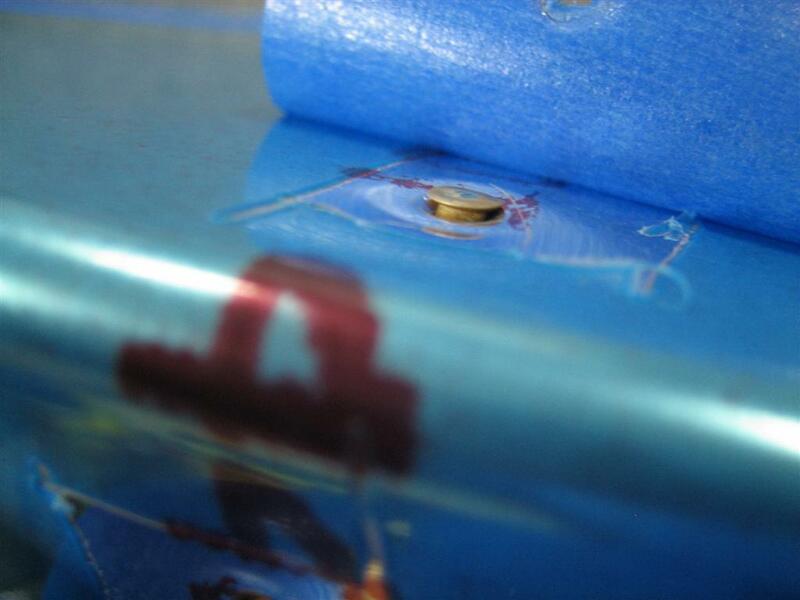 Not a big deal, but I don't want that blue vinyl getting stuck under the stiffener. So, I got out the soldering iron, waited for it to heat up, and trimmed up the aft area of each stiffener. After another shot of primer, I was ready to go. 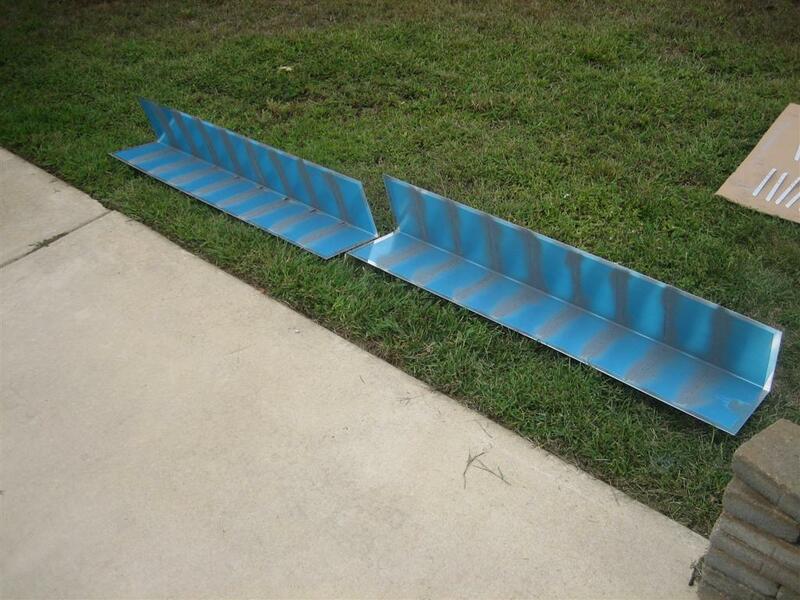 Okay, I’m pretty sure I have plenty of backriveting pictures on here, but I managed to get some action shots today. 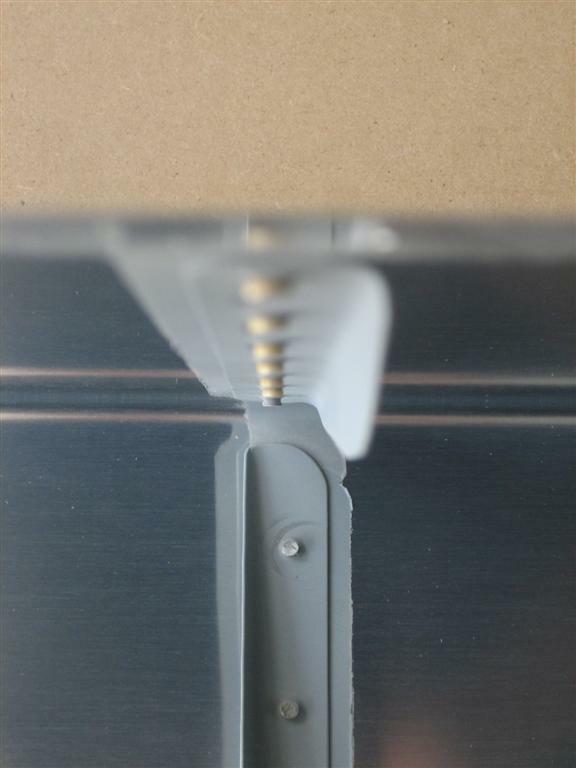 For most of the rivets (when the other half of the skin is not in the way), I use a short, skinny (~1/2″ dia.) set. I got six of the seven rivets on each stiffener this way. For the aft-most rivet, I use my double-offset backriveting set. I had to crank the psi all the way up to 60 psi, and it was still about a 3 second pull on the gun (instead of the more ideal 1.5-second pull), but it works. Also, remember to push down REALLY hard with your steadying hand so you minimize any tendency for the skin or stiffener to jump up. 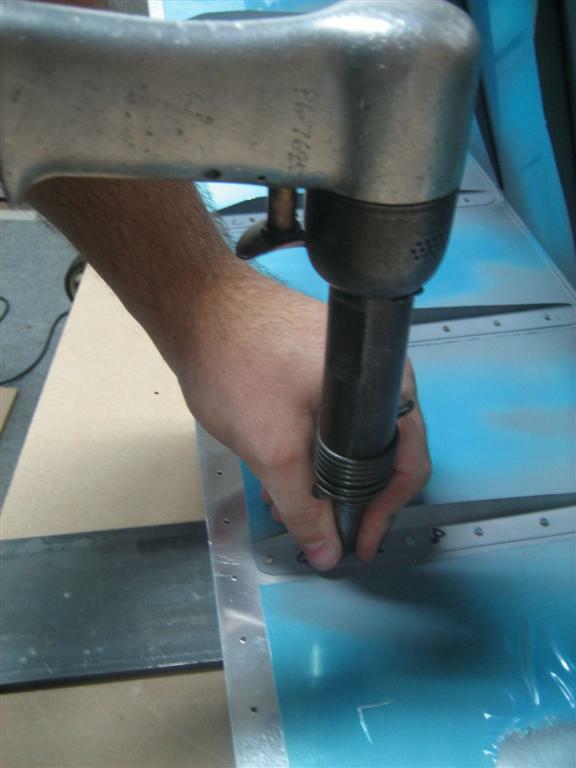 You want everything FLUSH against the backriveting plate. I’m only stressing this because I’m having bad flashbacks to the elevators. These all turned out beautifully. 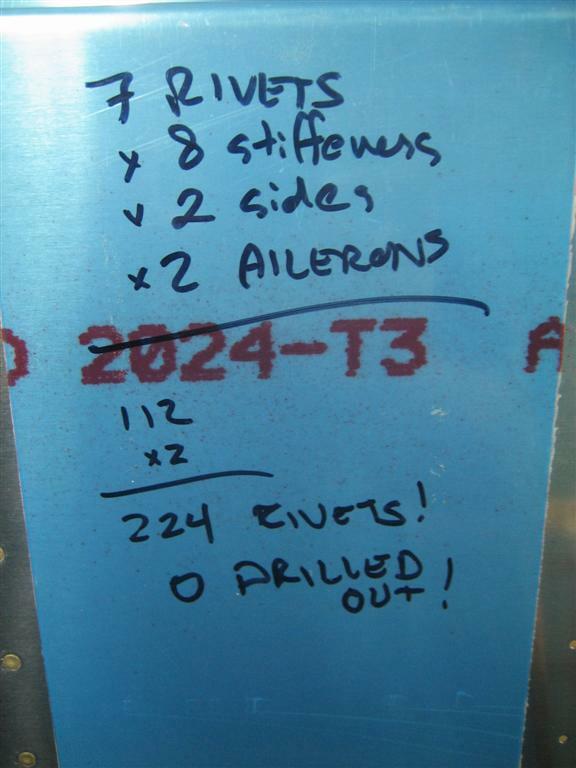 Okay, I was having trouble counting the rivets today, so I just wrote it down. Now, for some glory shots. Nice shop heads. 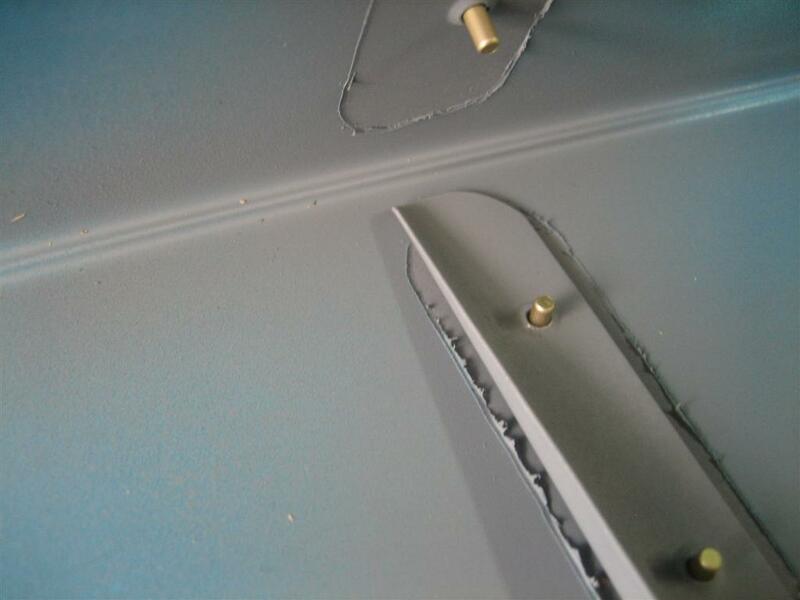 The last rivet is gray because I had to re-shoot primer after I had taped the rivets in. 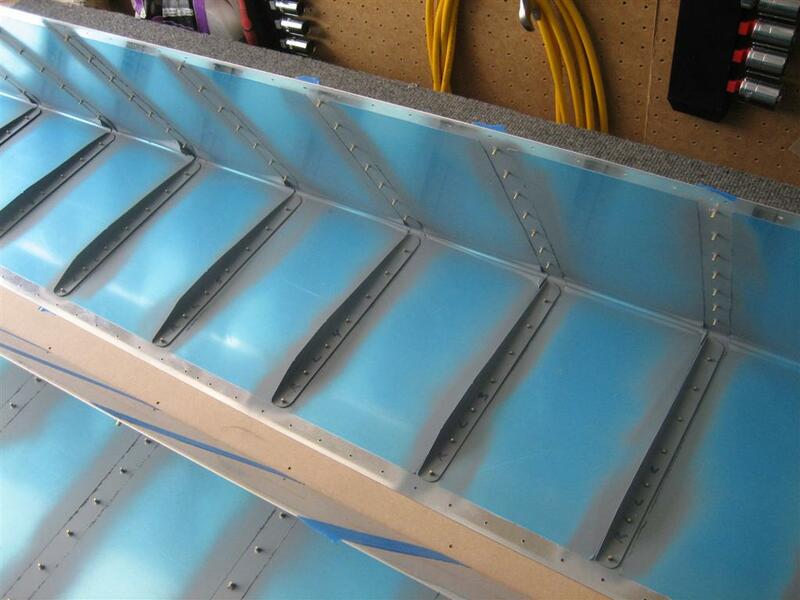 Finally, I pulled the blue vinyl off the insides of the ailerons. Man, these things really stiffened up. 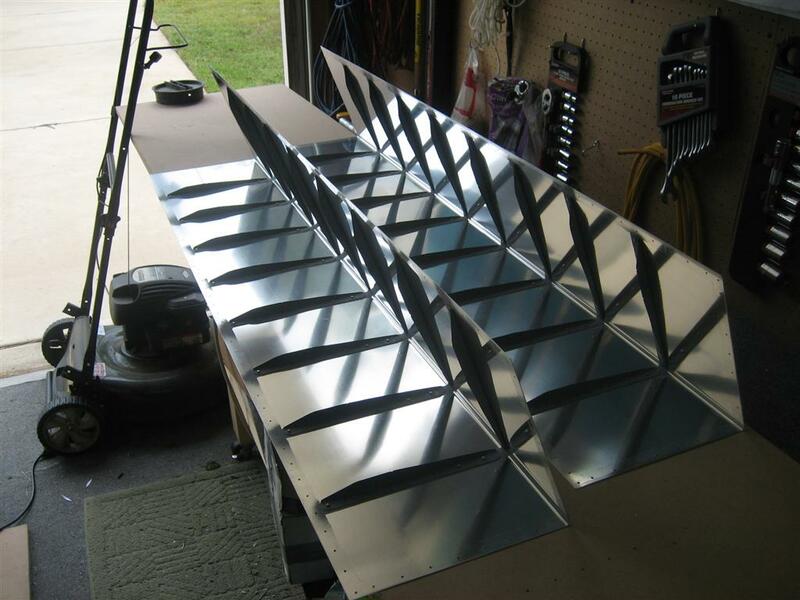 So, 2.5 hours, 224 rivets, and none drilled out. 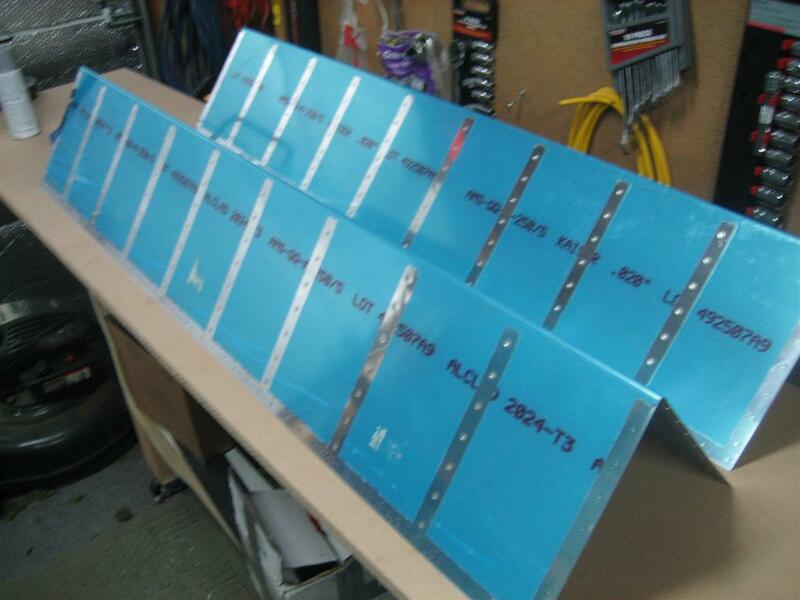 Next up, bending the aileron skins and then getting the skeletons together for some matchdrilling. (Also, I have to figure out whether I want to put the right wing in a cradle while I’m working on the left wing, or just leave it where it is on the stand. Hmm. This entry was posted on Monday, September 5th, 2011 at 3:26 pm and is filed under Wings. You can follow any responses to this entry through the RSS 2.0 feed. You can leave a response, or trackback from your own site.